Our image of the week is about the expedition of Ferdinand Magellan and the circumnavigation of the world. 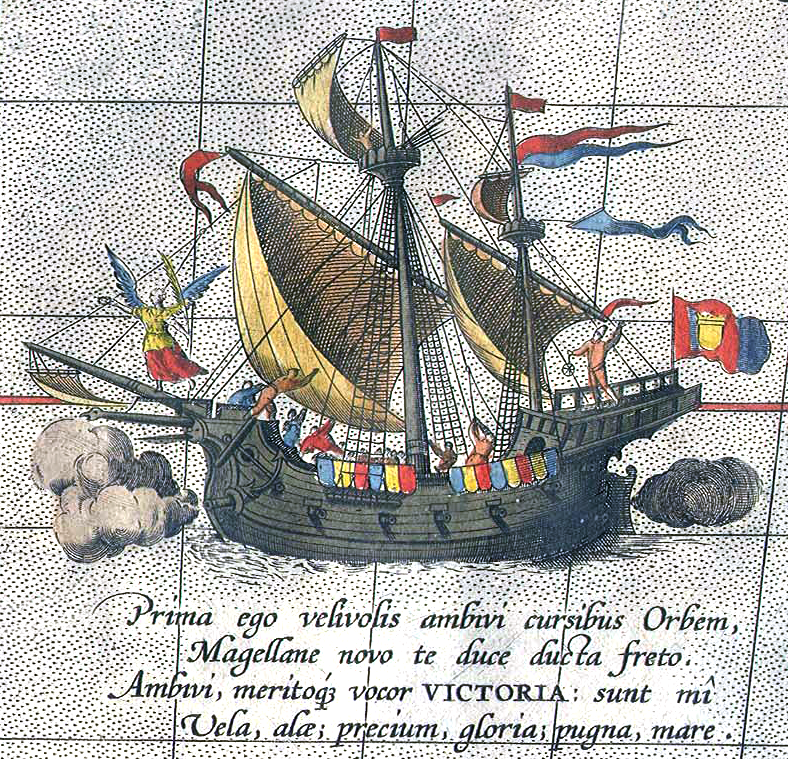 The reason that Magellan’s voyage made history was that it would be the first to circumnavigate the globe. The voyage included a trip through Tierra del Fuego, also known as the land of fire, at the southern tip of South America, as well as an epic crossing of the Pacific. Finally, after crossing the Pacific Ocean, Magellan was to die in the Philippines in 1521. The voyage pressed on though, and in the end a small number of those who left Spain in 1519 arrived back there in 1522. These men had suffered terribly, but they were lucky enough to have survived. Below is a depiction of the Victoria, the only ship that made the journey around the world. The image is taken from a late sixteenth century map made by the cartographer Abraham Ortelius. Now, have you heard about History is Now magazine? It has a range of fascinating articles related to modern history from America and the wider world!